configuration file and the accompanying CONFIG and CVPIC configuration programs. BIF Binary Image Format B&W Image Capture board files (display only). BMP Microsoft Windows 3.0 Bitmaps, uncompressed and compressed (change RLE to BMP extension). Save is W.
GIF (GIF87a and GIF89a) viewing, normal and interlaced (Fractint FRA viewing too). GIF (GIF87a) saves in normal (G), interlaced (I), inverted (U), mirrored (M), rotated CW (>) or CCW (<) 90? LBM Deluxe Paint VGA format, regular and enhanced (IFF Electronic Arts files too). Save command is D.
PIC Pictor/PC Paint and ViewPoint (ViewSonic) files. Save command is P.
PCX including the VGA version 1.61 of PC Paintbrush. Save command is Z. CUT Dr Halo machine independent format with a palette file. Save command is C.
SCx file formats for Colorix and EGA Paint. Save command is R.
TGA Targa 8 thru 32 bits/pixel normal and compressed file formats. Sierra and ATT DAC support too. Save is T.
path specifies a drive/directory for the Menu, Single File, or Slideshow. filename[.ext] specifies a Single File to show (GIF ext assumed). filespec = a DOS filespec (ie, c*.pcx) for the Menu. delay, resolution, and animation for each picture. Spacebar pauses the Slideshow, Esc ends it. Options: The following options apply to the Menu and Single File modes except where noted, & need a space between the options. /a specifies auto resolution select. /b specifies beep after decoding each file. /d saves files to the directory you started VPIC from; default is the viewing directory. /e specifies 16 color (EGA) mode. /? shows VPIC help. /h lists hidden files in menu; great files you don't want to come up in menu normally such as x rated. /l specifies to not change the video mode; great for multi image screens called from an application with /r. /mN specifies locking mode N for menu or single file; mode as defined by CONFIG program. /o inhibits swapping GIF background and border colors; good for converting to PCX for PC Paintbrush. /r specifies return to calling application after showing picture file without changing the screen. /w specifies to wait for a keypress between images (in a multi-image GIF file only). /xN & /yN specify a left & top margin (in pixels) for the picture. /v tells VPIC to ignore VESA info. /z inhibits printing the picture filename when it is displayed. Handles up to 500 files using mouse or keyboard. Cursor moved with arrow keys, PgUp/PgDn keys, or starting letter/number of filenames. Files are Marked/Unmarked for viewing with the Spacebar or right mouse button. F1 displays built in help/menu. F2 does a slideshow of marked files in the order they were marked. Enter shows marked files individually in the order they were marked, or file at cursor (if none marked). F3 shows size and colors of picture at cursor. F4 selects between 256 and 16 color modes. F7 selects Normal/Lock/Auto resolution. Auto picks the best resolution. Lock always uses default mode. F8 waits for a keypress between images in multi-image GIF's. F9 prompts for new path and filespec. Alt F9 gives sorted directory tree menu. F10 shows current directory. Alt_D prompts for new slide delay in seconds. Alt_X deletes file at cursor (with users permission; ESC or N aborts). Alt_M shows the current modes that VPIC thinks you have. Alt_C allows you to select a particular hi-color mode. Alt R renames a file. Alt_T marks (tags) and Alt_U unmarks all files in the menu. Alt_L prompts for new location. Picture decoding aborted with Escape, and menu automatically updated after saving, renaming, or deleting a file. A Animates the picture by rotating the palette; Up/Dn & PgUp/PgDn increase/decrease rate. Spacebar pauses, Enter holds. B converts screen image to gray shades. 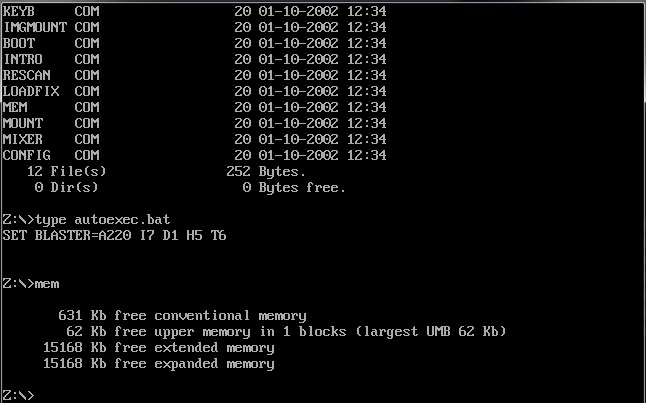 E expands a compressed Targa file to disk. F prompts for another file, and the x,y offset; allows you to make composite pictures. Works best with /m, /x, and /y. F1-F10 are adjustments for red, green, blue, brightness, and contrast for VGA viewing. Alt F10 restores original. scroll sideways; see VPIC.DOC section on `How VPIC Works'. Alt_F momentarily displays filename while viewing. / or ? displays built in help/menu, can be clicked with mouse. Alt_X deletes the current file (with users permission; ESC or N aborts).V inverts video. C, D, G, I, M, P, R, T, U, W, Z, <, > are file conversion/manipulation commands; see VPIC.DOC. program tries to identify your VGA chip and the amount of display memory you have installed; see CONFIG.DOC. display other graphics file formats. The GIF file format is copyrighted by CompuServe Inc., Columbus, Ohio. specify disk type; 1.2M 5.25" or 1.44M 3.5" (don't have low density), and EGA, VGA, or SuperVGA (640x480x256, etc) pictures. since the banks charge up to $60 total collection fees for foreign checks.